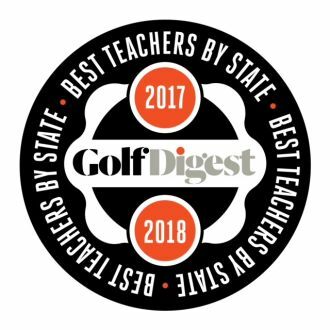 IJGA Director of Golf voted one of the best teachers by Golf Digest. IJGA Director of Golf Jonathan Yarwood was named to the Golf Digest list for Best Teachers in State for South Carolina. Being a staple on this list for many years is a testament to Yarwood’s teaching abilities and the strength of the golf product here at IJGA. “Named to the Golf Digest “Best Teachers in South Carolina” list within months of arriving in the state as Director of Golf at IJGA, the premier junior golf academy in the US, is immediate recognition of his stature. No-one has accomplished as much in junior golf as Jonathan has over the last twenty years, as golf coach to the elite group at IMG and then in recent years at both our partner golf academy BGGA and now IJGA. Jonathan’s impact on the IJGA golf program has been transformative, taking a “good” program and within months turning it into a “great” program. The best testimony comes from his students, particularly returning students, who comment on the impact he has made.” IJGA CEO, Andrew Summers. “Jonathan brings his years of experience of being a tour coach who works with the best players in the world, to every lesson he does. His passion is obvious for everyone to see and it is this that makes him so influential with everyone he works with.” IJGA Senior Coach, Dan Jackson. In the short time Yarwood has been at IJGA, there has been an immediate improvement in moral and performance from the students. The new fact-based training program has already lead to multiple wins this fall by our students. With more time hands on with the students, we expect to see the outstanding tournament performances continuing.